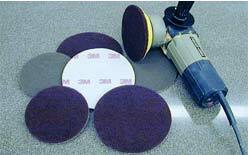 Canadian Motivel Inc is a fully authorized 3M Abrasive and Scotch Brite distributor well versed in problem solving for countless grinding, sanding and surface conditioning applications. We are prepared to offer demonstrations and advice on both metalworking or woodworking operations. Find below some areas of interest and contact us at your convenience for any further assistance you may require. 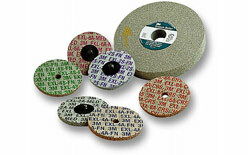 Also, you may be interested in other 3M Abrasives we offer. When portable tools are used in bench area operations, 3M and Canadian Motivel Inc. help keep things moving with a full line of money-saving, quality surface conditioning products. Designed to deliver outstanding results in hard to reach areas with quick reloading features. Cubitron abrasive provides high cut while the flexible plastic brings superior cleaning to a wide variety of surface areas. 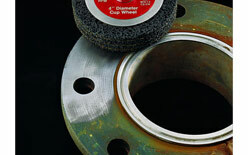 Cubitron abrasives do not damage the work piece. 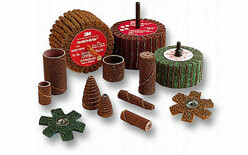 Cubitron abrasives eliminates flying wires common with traditional wire brushes. 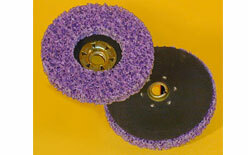 Scotch-Brite hook and loop discs have a backing which is compatible with a dual-lock fastening system. These discs are offered in a wide range of sizes and grades that work well on right angle tools with hook and loop disc pads. 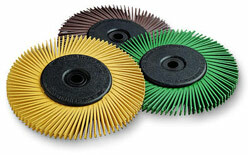 These discs will give you longer life with excellent finishing and conformability capabilities. The new, hook backing reinforces the discs and makes attachment very easy and fast. Superior finishes on solid surfaces, painted panels, and metals. 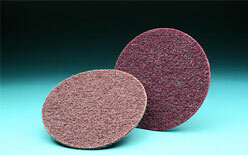 Scotch-Brite Roloc discs provide a burr-free surface suitable for painting or coating. Roloc TN is a quick-change attachment device that features metal to metal locking system for discs that are 4-1/2, 5 and 7 inches in diameter. 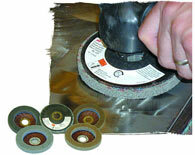 A broad range of long lasting unitized wheels converted with an adaptor plate to fit on 4 1/2 inch right angle grinders. 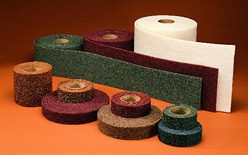 Scotch-Brite rolls are conformable and follow surface contours, eliminating undercutting and surface leveling. There is no reason to use steel wool! Use Scotch-Brite for paint, rust and corrosion removal, light deburring, mild polishing, scuffing, or cosmetic finishing. Most often recommended for use on portable tools. 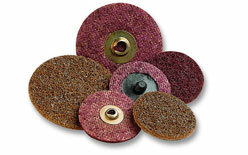 Choose for edge deburring and finishing applications of small or intricate work pieces. 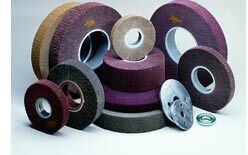 They are available in a wide range of diameters, grades and densities and limited to a thickness no more than 1".